This show is a departure from our usual format where we divide one subject into three segments. Let us know what you think of this experiment. 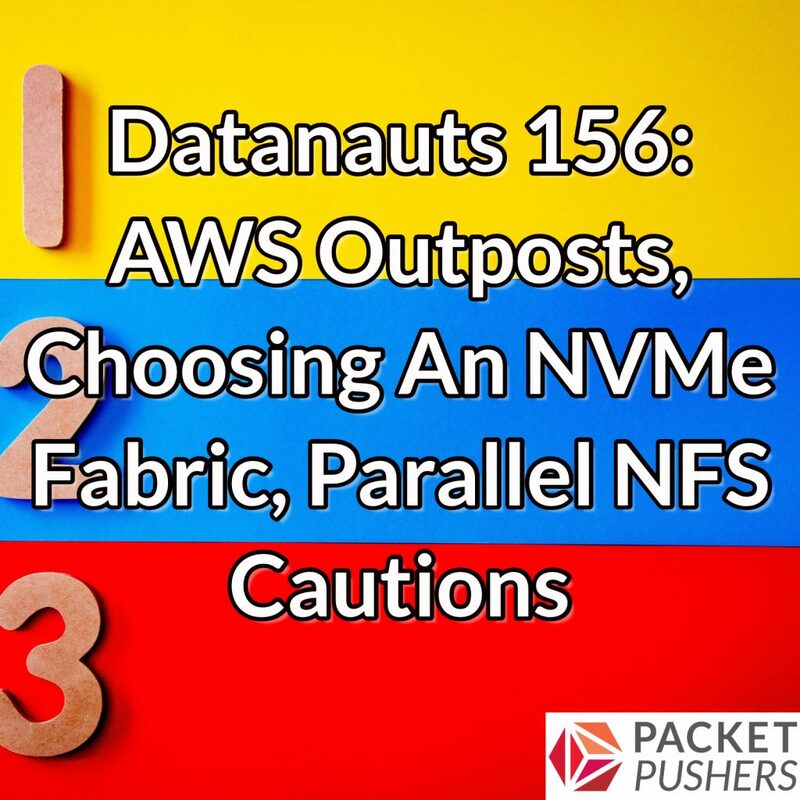 If you like Datanauts, check out other podcasts in the Packet Pushers network, including IPv6 Buzz, Full Stack Journey, Heavy Networking, and Network Break. Get nerdy tech analysis and compelling conversations about infrastructure, cloud, professional development, and more. Find them all at packetpushers.net.